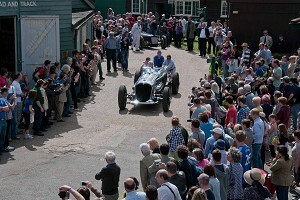 Organised in association with the Vintage Sports-Car Club, the event celebrates Brooklands' rich motoring history and is always held on the weekend closest to the Anniversary of the original opening of the Brooklands race track in 1907. 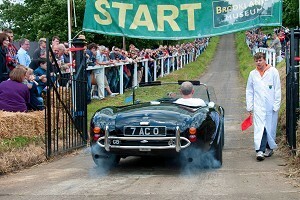 The two-day extravaganza features Speed Trials, Driving Tests and the prestigious Double Twelve Concours. 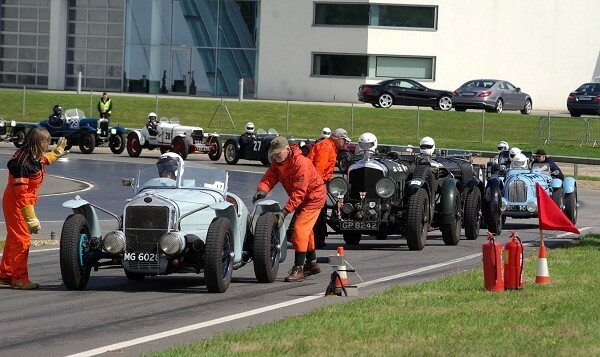 Each event will have its own class and overall winners, but to achieve a Brooklands Double Twelve award, an entrant must compete in any two of the three events and the combined scores of these two events will decide their Double Twelve placing. As well as the main competitions, the Test Hill Challenge will also take place on both days. 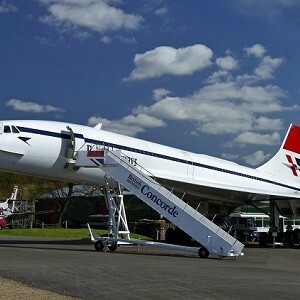 This will involve everything from bicycles and motorcycles to giant pre-war racing cars and running races for energetic children up the punishing 352ft (107m) concrete slope. Some vehicles may even head down the Hill in a test of their brakes. With family entertainment once again planned throughout the site and lots more attractions to be announced, this is a weekend for everyone! Normal Museum admission charges applies. Visitor parking will be in The Heights off Wellington Way - please follow event signage.